This article is acknowledged by @TMCH_EZ2DX and staff of game center where they are from Japan. Thanks so much. 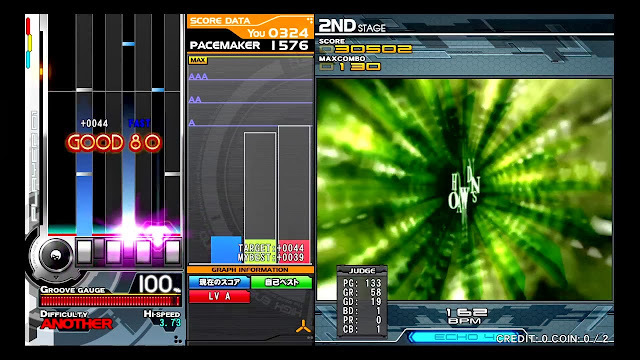 Let's discussion about to capture and broadcast the Beatmania IIDX 20 Tricoro. Currently, most of IIDX monitor has been fixed as 1280x720 HD resolution mode, so I will focused on HD mode. - DVI-I output 1 : This is for main monitor. - 3.5 stereo output : It has connected to machine's amplifier. To use this, it should be needed the Y jack. In this work, there is no used display splitter to prevent for EDID/DDC problem, instead of that used by IIDX PC DVI-I output 2. Sometimes, the game occur the lag during its powered on continuously by this method, at own risk if you do. 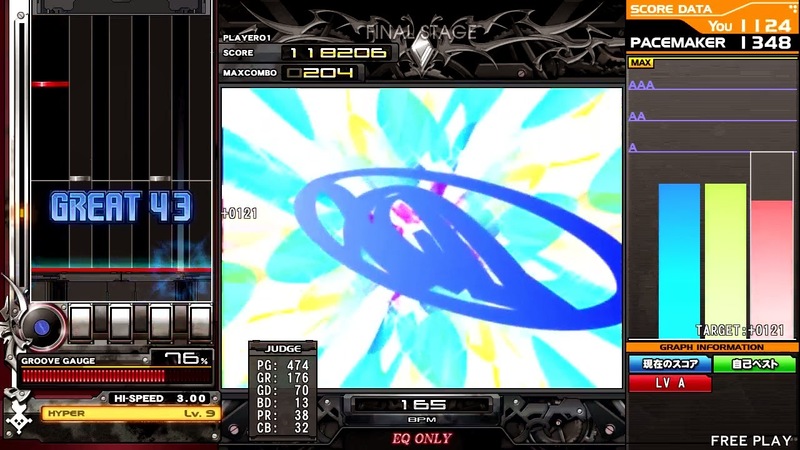 - Connect the DVI-HDMI cable from IIDX to C875 as corresponding to below picture. - The screen has been captured very clearly however, in some cases you can see "force scaled" screen as below screenshot. 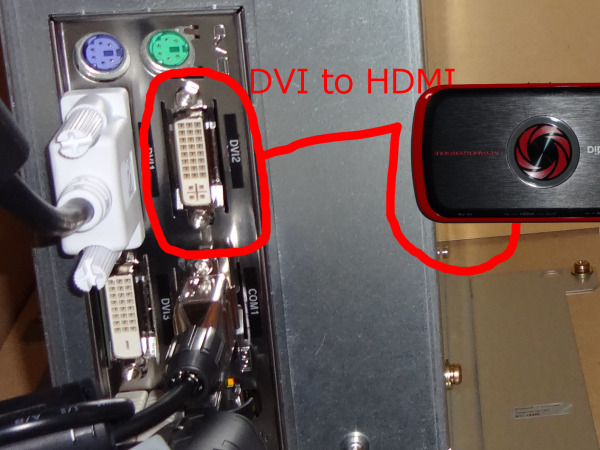 Micomsoft SC-500N1/DVI (Startech PEXHDCAP), DVI ouput to HDMI input case. Avermedia AVT-C127, DVI ouput to HDMI input case. - in the case of C875, the color range of capture has fixed YUV422 8bit 0-255、so that the screen would be occured cut the range of black and white color that would be quiet different than orignal. Change the color range from 0-255 to 16-235 using AviUtl filter could be fixed this problem (actually NOT permanently restore). ex) The screen has force scaled. i.e.) This problem is confirmed that occured by capture source's spec. We can evade this by change the setting by NVIDIA control panel or AMD/ATI catalyst property that set to "No scaling". However the arcade machine's OS are typically "Windows Embedded". 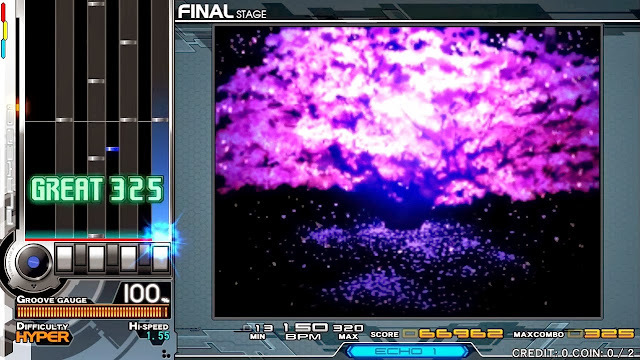 In addition, to change the setting even if we connect keyboard/mouse, there are no response, instead of that we had changed the setting it restored back the setting over next power on :D. To evade the force scaled, use the EDID emulator and connect it between IIDX and capture card then it can be permanently capture the screen. I've found pther case that has no logner to see the "force-scaled" used by different monitor and HDMI splitter in one of game center in South Korea. I'm not sure whether both monitor and splitter has been change since where the game center had used other ones. I guess the successed result of "no-force-scaled" is by monitor. In fact, the splitter has split function, just copy digital signal "as is", that would not be affect the scale effect. New display mode "HD*" has released without notice. It would be captured as perfect pixel matched, no more need to EDID/DDC emulator. Just change HD to HD* in dip switch setting(tell to machine operator/owner).